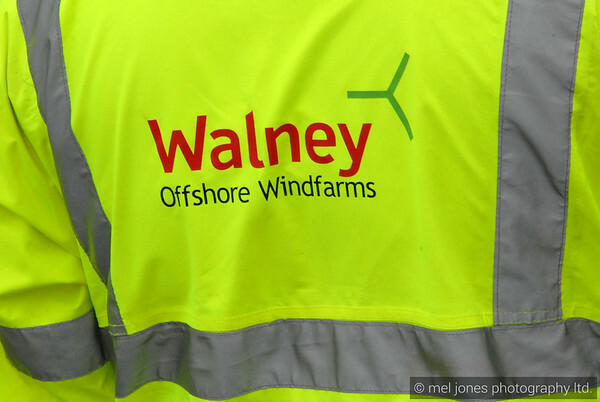 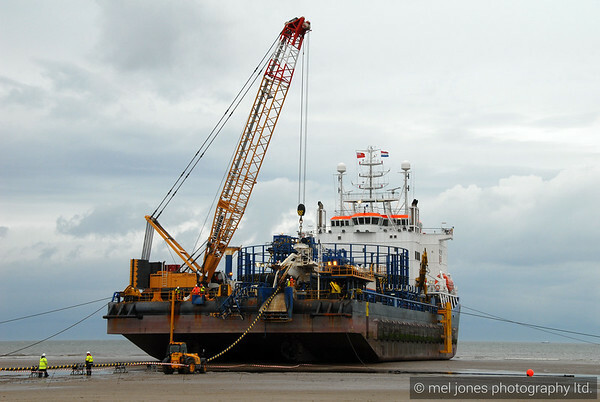 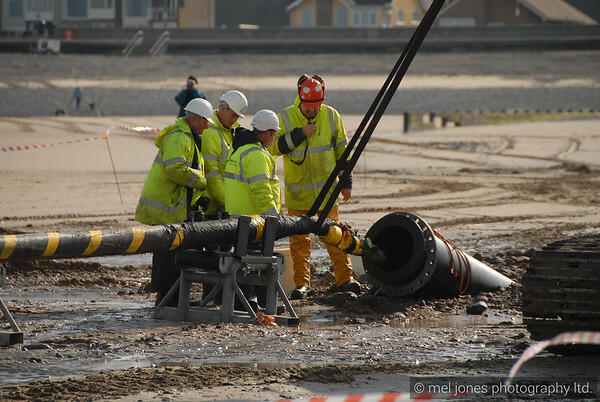 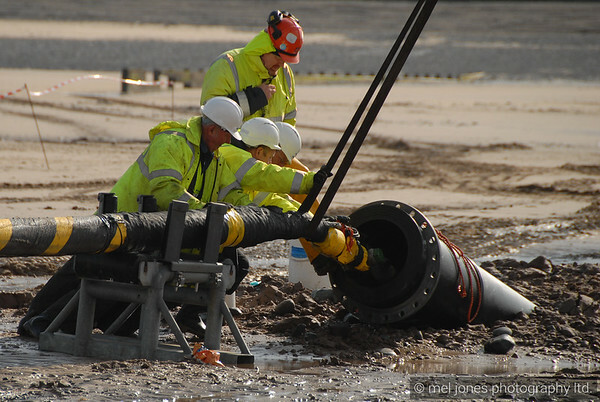 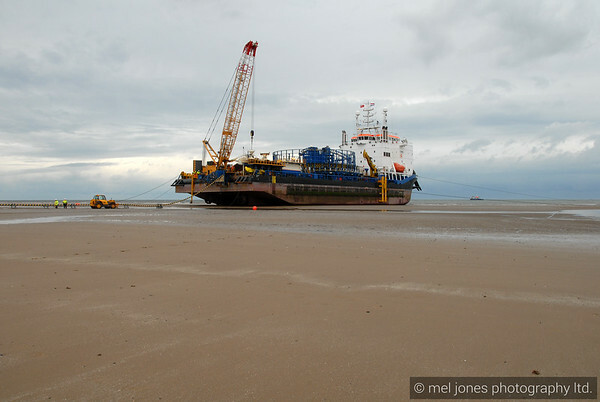 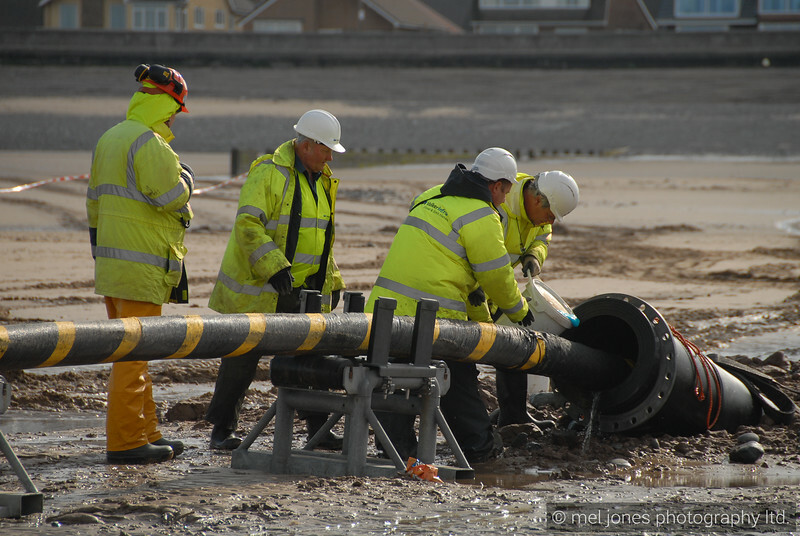 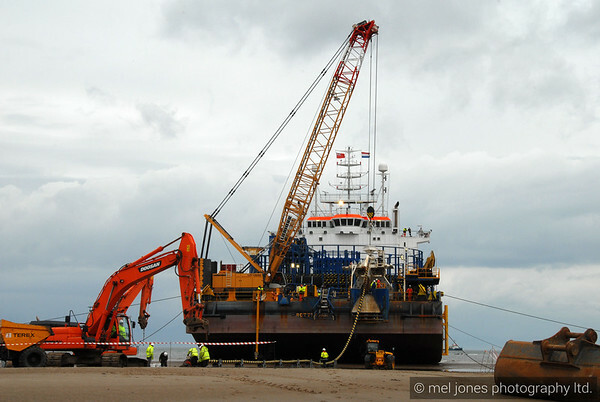 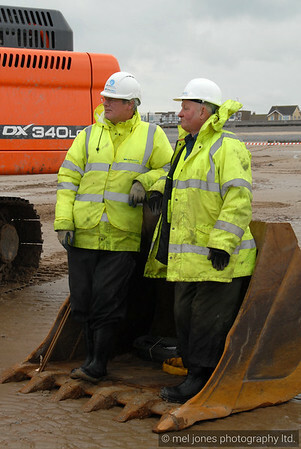 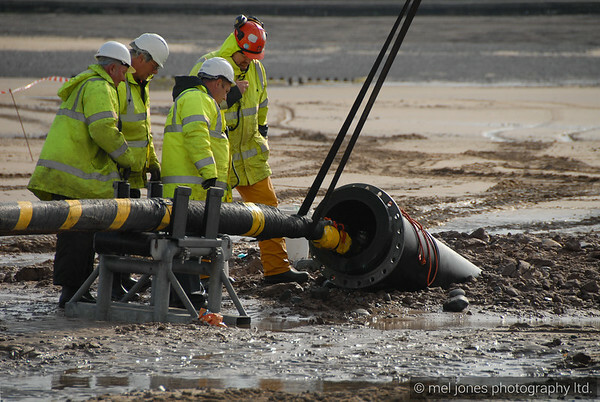 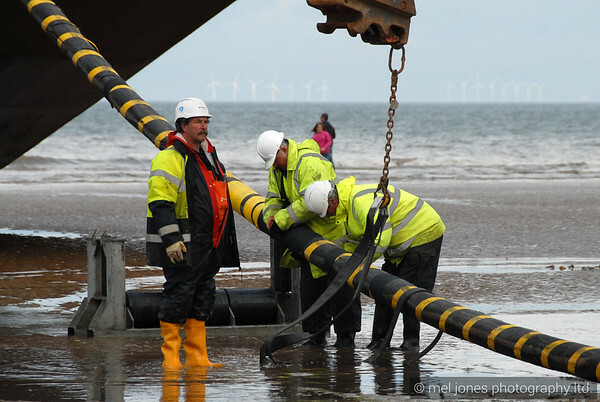 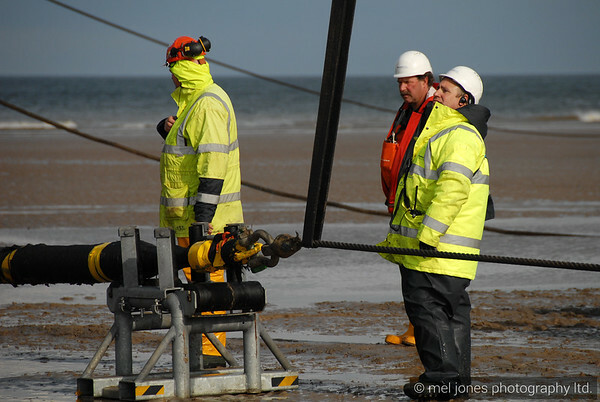 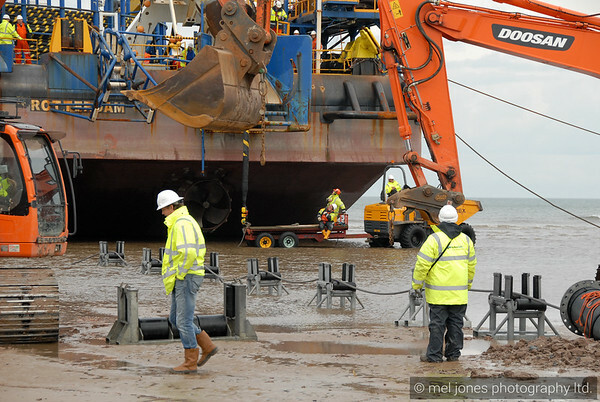 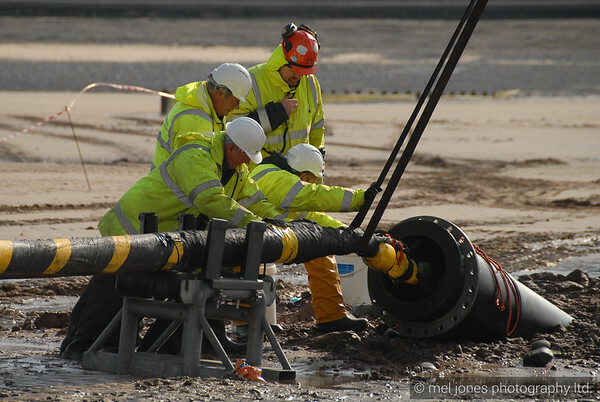 Export cable for Walney Windfarm at Cleveleys near Blackpool. 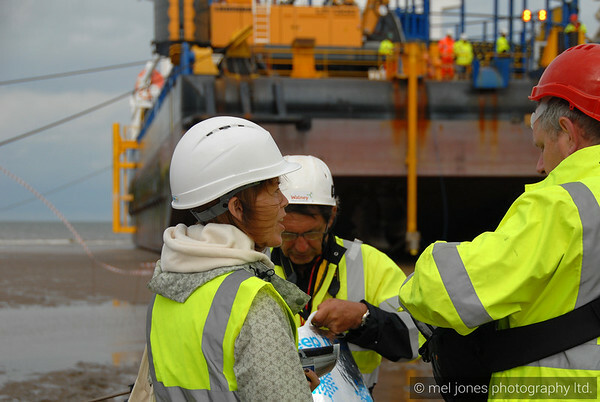 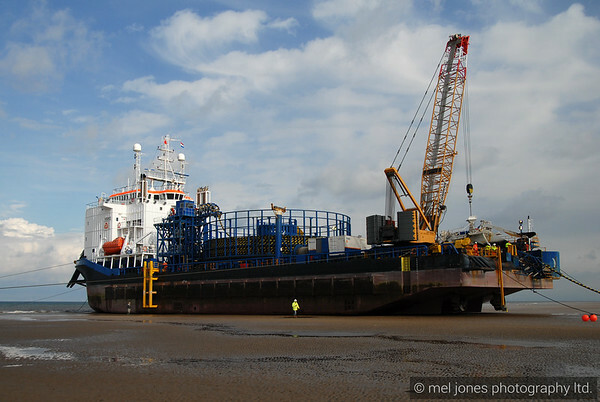 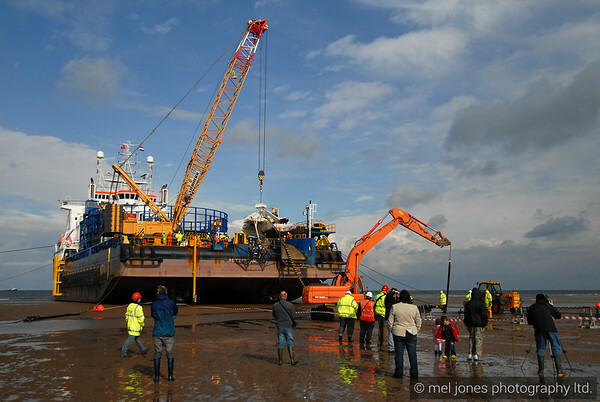 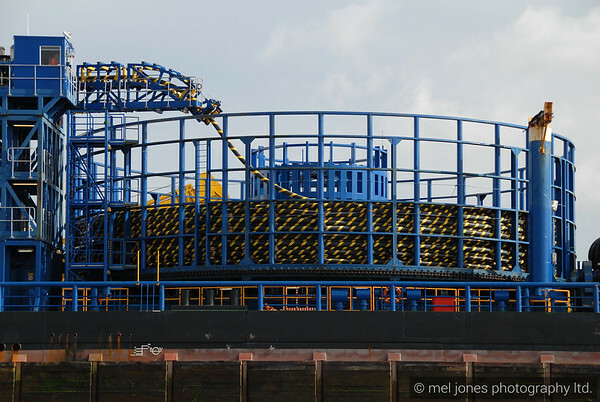 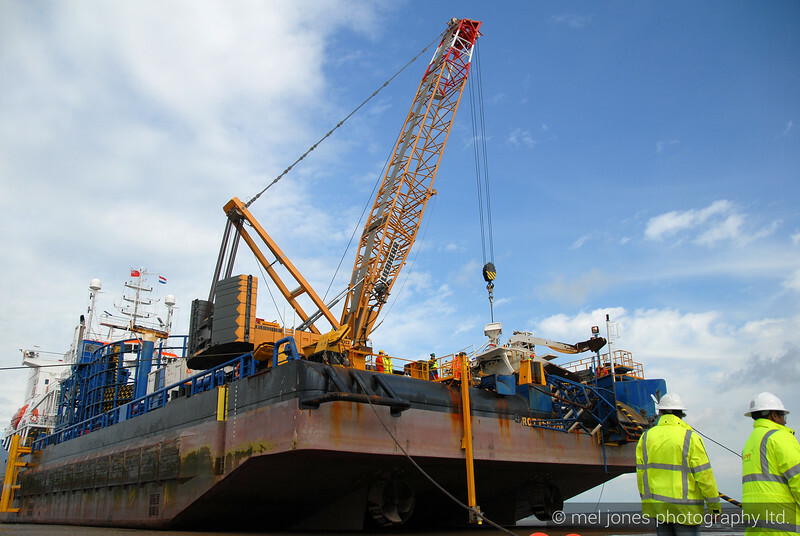 The Stemat Spirit cable barge arrived just off-shore in the afternoon of Saturday 7th May. 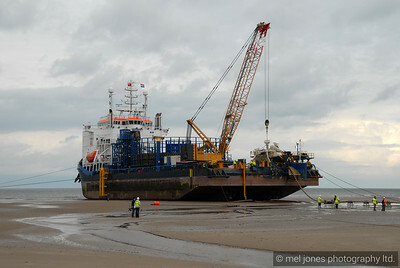 It beached in the early hours of Sunday 8th May in the morning, waiting for very low tide. 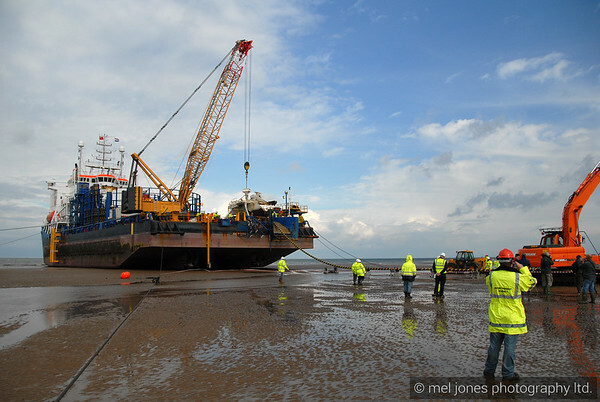 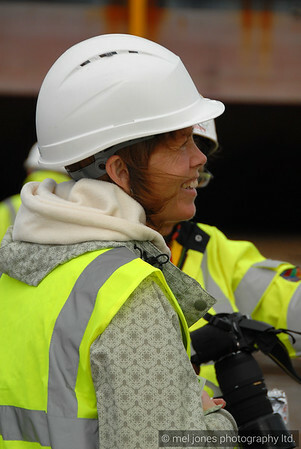 At about 9am, the process of pulling the cable from the spool on board the barge began.